1) THE MATRIX, 1999: At the time, this film was considered another major breakthrough in sci-fi special effects wizardry, which serviced a mind-bending plot. Keanu Reeves actually checked in his more egregious acting impulses, delivering one of his better performances in this heady mix of hi-tech action and reality questioning. This landmark film was followed by two tepid sequels, but no matter--The Matrix became almost as big and defining a sci-fi centerpiece as 2001 or Star Wars. 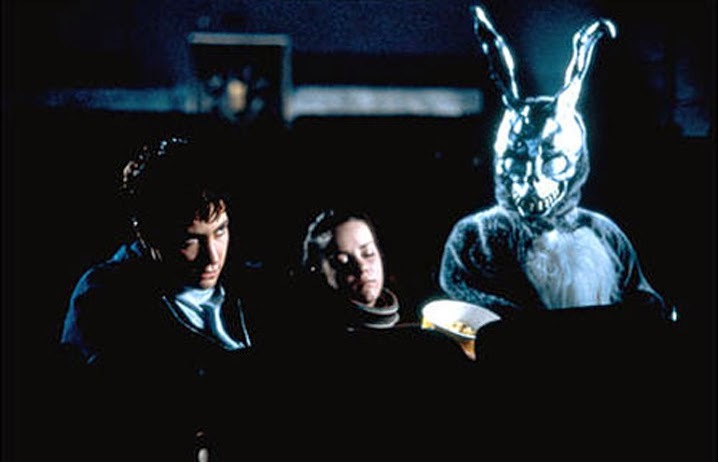 2) DONNIE DARKO, 2002. 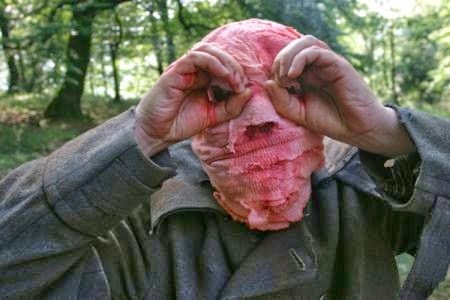 This strange and disturbing film was shot on a low budget and seen by few people at the time, although it has gained in stature and cult following ever since. Jake Gyllenhaal gives a magnetic performance as a boy whose dark apocalyptic visions are questioned by his family. The ending is one of those complex time loop equations which will have you scratching your head for weeks afterward! 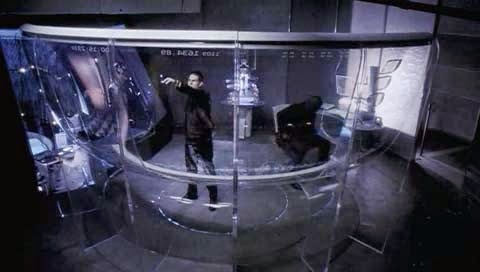 3) MINORITY REPORT, 2002. The title and premise of this film--that there will come a time when people are arrested and convicted for crimes they haven't even committed yet--has become shorthand in modern-day political conversation for our encroaching surveillance state. Steven Spielberg directs without his usual treacly sense of wonder, resulting in a tight, dark film that holds up quite well; even Tom Cruise is bearable. The two would reunite a couple of years later for an acceptable remake of War Of The Worlds. 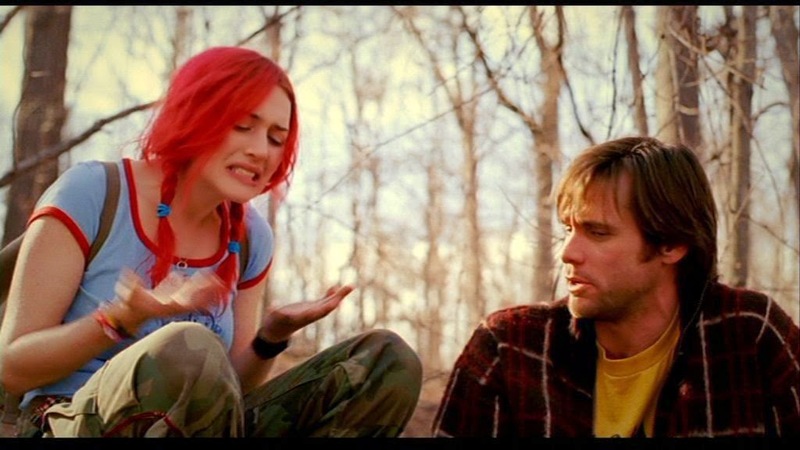 4) THE ETERNAL SUNSHINE OF THE SPOTLESS MIND, 2004. This outstanding Jim Carrey vehicle brought science fiction cinema back into the realm of the cerebral. It's a dizzying plot that follows the premise of a world in which memories can be erased and implanted at will, and examines the effects such a practice would have on our personalities, relationships, and sense of reality. Carrey gives an unusually sensitive performance, far removed from his Ace Ventura persona. 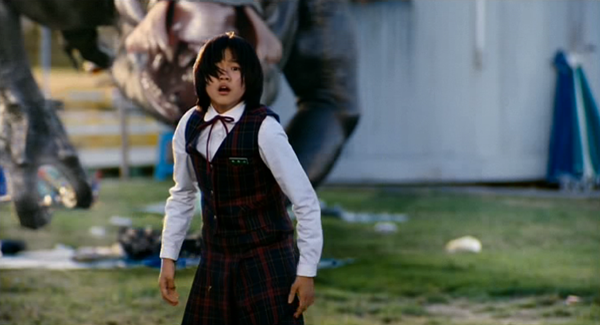 5) THE HOST, 2006. Korean cinema jumped into the sci-fi fold with this expert monster movie, based around a horrific sea creature that is the result of scientific mutation. The creature itself is pretty thrillingly portrayed with effective CGI, but the screenwriters do not forget to add in characters whose plight the audience can actually care about. It's a magnificent slice of hi-grade horror that is available on Netflix for American audiences to enjoy. 6) TIMECRIMES, 2007. This low budget indie flick from Spain basically retraces a maddening time loop that haunts its main character, in which he is doomed to repeat a series of errors over and over. His eventual solution to the puzzle is ingenious, as he battles several different versions of himself moving through time. Timecrimes is a film which, like Donnie Darko, proves that good sci-fi can still be made without elaborate setpieces or visual effects. 7) WALL-E, 2008. The only animated film in our entire series of articles was this critically acclaimed Pixar effort, with its strong ecological message. The visual effects of the animation here are so stunning, that the film regularly makes lists of the most impressive DVDs to show off a home theater system; just make sure that you have a good audiovisual setup to take in the full experience. 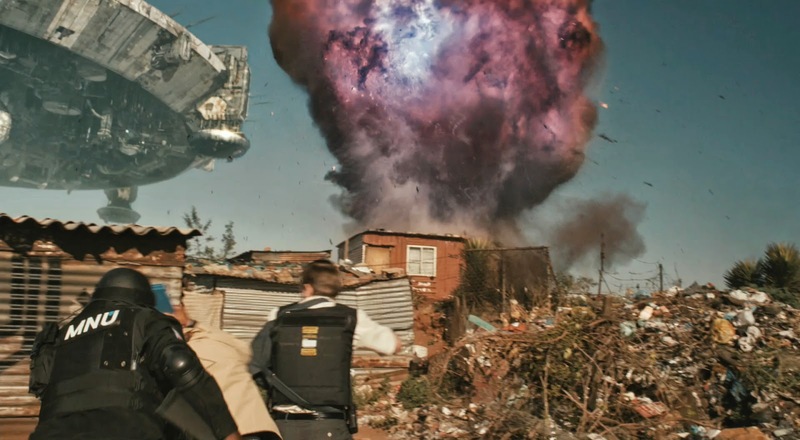 8) DISTRICT 9, 2009. This fascinating film begins with a brilliantly cynical premise--what if alien visitors to our planet were treated like any other second-class minority? Filmed in South Africa, the movie's gritty, violent atmosphere and trenchant social commentary made it a critical favorite; the executive producer was none other than Peter Jackson of Lord Of The Rings fame. 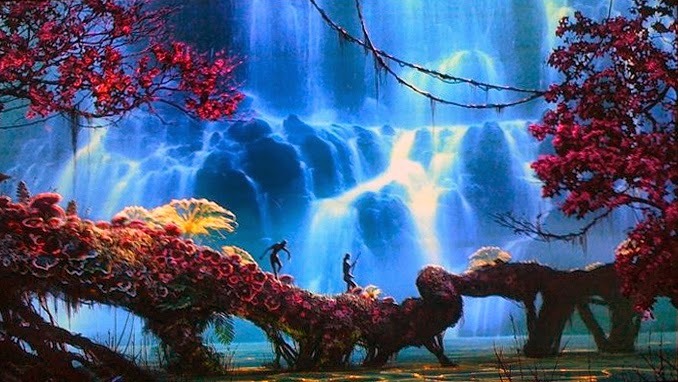 9) AVATAR, 2009. The highest-grossing film of all time is, naturally, a science-fiction one. James Cameron struck platinum yet again with this outer space remake of Dances With Wolves--but forget the goofy plot and dialogue, and focus instead of the film's incredibly beautiful and elaborate production design, in which an entire eye-popping world is created in the stoner-visual style of old Yes album covers from the 1970s. The resemblance was so uncanny, in fact, that album cover artist Roger Dean ended up suing Cameron for copyright infringement. 10) INCEPTION, 2010. After wowing audiences with The Dark Knight, director Christopher Nolan was allowed to indulge in this outrageously complex psychological thriller, which invented an entire world with its own dizzying set of rules. One of the few movies in any genre to explore the subject of dreams, it plunges headfirst into a heady thrill ride through various levels of surreal dream imagery, while maintaining a very personal dramatic story at its core. It was one of the most successful mergers of high-art intellectual pomp and blockbuster action thrills in several decades, and well-worth multiple viewings. 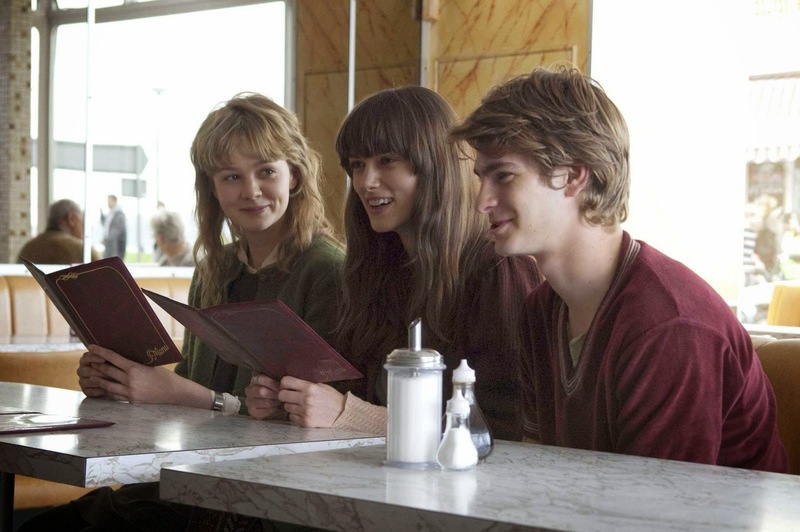 11) NEVER LET ME GO, 2010. This delightful film, based on the novel by famed British author Kazuo Ishiguro, follows from the idea that a medical breakthrough was able to extend the human lifespan. A curious three-way relationship between its main characters is subsequently set up, with each resigned to a terrible fate in which they exist only to serve as organ donors. The film takes place entirely within the space of their emotions, in which they attempt to circumvent their eventual fate. It's a low-key but very rewarding movie that ponders Big Questions about love, death, and the existence of the soul. 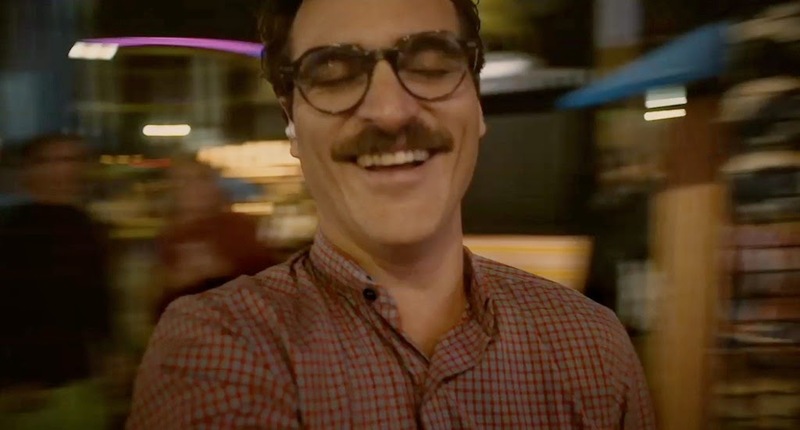 12) HER, 2013. This Oscar-nominated film, which won for best original screenplay, takes place in a Los Angeles not too far removed from the present in which artificial intelligences become a replacement for human relationships. The film manages to make the premise look less bizarre than it seems at first, as a true rapport is built between its main character and the OS (Operating System) who becomes his girlfriend. As the latest entry in our series, it bodes well for the future of the genre, as we move into a hi-tech world that is already making the fanciful visions of our past into a reality. Just remember: if you ever end up dating a computer, make sure it's dating you, and you only!